The Maine Cheese Guild stands by its Quality Statement, issued in May 2009, with regard to the Local Food Ordinance proposals we have seen, and to the legislative bills introduced for the 2011 session (LD330 and LD366). The Maine Cheese Guild believes that cheese of the highest quality can be made only with a thorough and regularly refreshed knowledge of food safety. 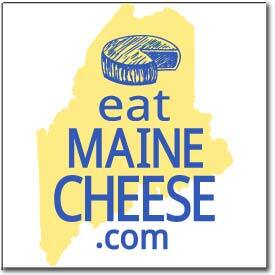 The Maine Cheese Guild promotes and sponsors regular opportunities to learn about best practices for cheese making. The Guild also believes that the best way for professional* cheese makers to guarantee the quality of their product is by being appropriately licensed by the Maine Department of Agriculture, as only licensed cheese makers are legally allowed to sell cheese to the public, and only licensed cheese makers receive feedback from the dairy regulatory unit through regular testing for contamination and facility inspections. This feedback is critical, together with on-going education, in maintaining the high quality of award-winning Maine cheese. In 2011 the Maine Cheese Guild is organizing or co-sponsoring several workshops devoted to elevating the cheese making skills and quality in this state, including a Sanitation Workshop being held on April 28th at the University of Maine at Orono campus. We have encouraged all of our membership to go, and anyone else who has expressed to us an interest in making quality cheese. However, this is the limit to what the Guild can do – create and offer opportunities for cheese makers, and then to encourage cheese makers to take advantage of those opportunities. The Guild cannot inspect every cheese maker’s facility at least once a year, and the Guild cannot test each cheese maker’s water supply every year, and the Guild cannot provide a consultant to work one-on-one with any person who is interested in making cheese commercially. Ultimately only our state regulatory agency has the resources and the ability to do this important work. Work that, as our Quality Statement succinctly states, is necessary to help a cheese maker make good cheese. In the Guild’s opinion, if regulatory oversight were optional for commercial dairy processors, those commercial processors who chose not to take advantage of these important and economical resources would risk lowering the overall quality of dairy products being sold in this state, which would reflect badly on all cheese producers, not only those who chose to ignore proper licensing. And if Maine’s reputation for making high quality cheese were tarnished, that would adversely affect an entire industry that has been growing by leaps and bounds over the past ten years. Quite simply put: the Guild is convinced that LD330 is bad for Maine’s dairy economy. Posted in Guild, News and tagged Legislature, quality, Regulation.